Here we are at the end of March already – a time when quite a few airlines start their regular ‘summer’ flights to Croatia! 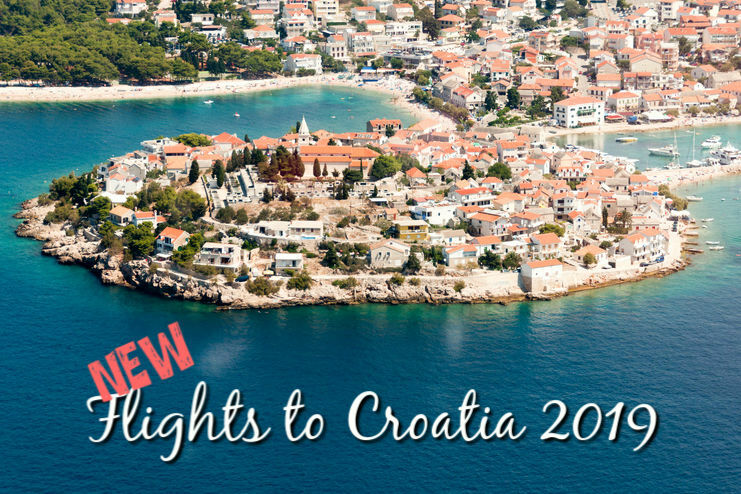 A great opportunity to look and see what new flights to Croatia – and other changes – there are for 2019. There’s some excellent news for our Irish friends with plans to visit Croatia this year. Ryanair have two new routes this year – from Dublin to Split and Dubrovnik. 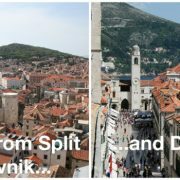 Both routes will operate four times a week (on Tuesdays, Thursdays, Saturdays and Sundays to Split; and on Mondays, Wednesdays, Fridays and Sundays to Dubrovnik) from the beginning of June through to the end of October. Aer Lingus continue to fly the above two routes as well, but have also introduced a new one for 2019. They will fly from Cork to Dubrovnik twice a week (Tuesdays and Saturdays) from 11th to 28th September. 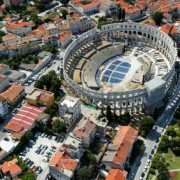 Zadar is a stunning town, so it’s great news that there’s more and more flights to this Dalmatian airport each year! Easyjet have flown from London Luton to Zadar for a couple of years and will now also fly to Zadar from London Gatwick. Flights will operate twice a week (Tuesdays and Saturdays) from 30th April to the 26th October. London is of course spoilt for choice when it comes to flights to Croatia – with plenty of flights from Heathrow, Gatwick, Luton and Stansted. But British Airways will now add another airport into this mix – London City Airport. 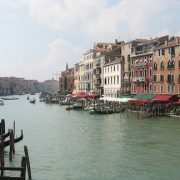 Flights from here will operate three times a week (on Mondays, Thursdays and Fridays) from 21st June to 6th September. 01/04/19 Note: We’ve been informed that TUI have cancelled their Manchester to Rijeka route – before they’ve even started operating it! They will now NOT fly from Manchester to Rijeka this year. See changes below. TUI have introduced two one new route for 2019 to an airport in Croatia they have never serviced before, Rijeka. They will fly from London Gatwick and Manchester to Rijeka once a week (Thursdays) from 23rd May to 10th October. But TUI don’t just stop there in terms of new flights! There’s also good news for Welsh visitors to Croatia – for the first time, there is now a direct flight from Cardiff Airport to Dubrovnik (operates on Thursdays from 2nd May to 31st October). And the airline also have two more new routes – from Doncaster Sheffield to Pula (operates on Saturdays from 4th May to 5th October) and from Leeds Bradford to Dubrovnik (operates on Thursdays from 2nd May to 31st October). However, there’s one route that TUI have dropped for 2019 – they are no longer operating flights from Newcastle to Dubrovnik. Flybe have dropped all of their flights from the UK to Croatia. They used to fly from London Southend to Zadar and Dubrovnik. There’s no new flights with Jet2.com this year. (The airline has introduced a number of new routes to Croatia in the last couple of years, so we’ll forgive them!) They are, however, increasing frequency on some of their existing routes. There will be three flights a week in peak season (15th July to 22nd September) from London Stansted to Split, and five flights a week in peak season (27th May to 22nd September) from London Stansted to Dubrovnik. However, they have reduced frequency on their East Midlands to Split and Edinburgh to Split routes for 2019 – both will only fly once a week this year. New flights from America to Croatia, too! American Airlines will fly from Philadelphia to Dubrovnik three times a week (on Tuesdays, Fridays and Sundays) from 7th June to 21st September. Flight time will be nine hours and 15 minutes. 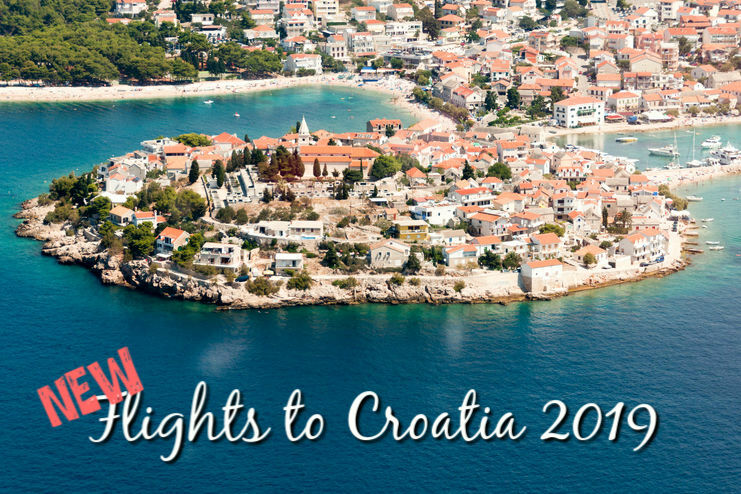 Check out our Flights to Croatia page for full details of all routes from the UK and Ireland to Croatia for 2019, as well as their frequency and dates of operation. Zagreb Airport looks forward to 2011; could a direct route to New York be on the cards? New air route for 2012 - Newcastle to Dubrovnik!